The team is making history as the first all-female team to enter the Rolex 24 since 1993. The entry combines MSR veteran Katherine Legge with two-time IMSA Champion Christina Nielsen, Australian V8 Super Car driver Simona De Silvestro and Brazilian Stock Car driver Figueiredo. Only two practice sessions preceded the 15-minute qualifying run. 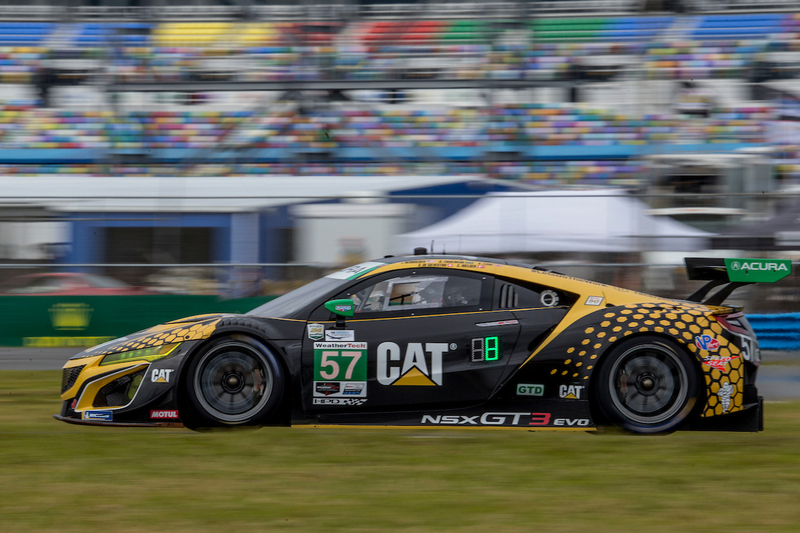 Figueiredo, who set the fastest time in qualifying during the Roar Before the 24 event weekend (which set garage and pit assignments), was aiming for the same success. At the close of the session, she laid down a lap of 1:46.116, placing her on the fifth row for the start of the twice around the clock event. “We had so much rain this morning and it’s so much warmer than it was at the Roar, so the car is different,” said Figueiredo. “We worked hard to fix the car, but it didn’t go the way we wanted it to go. The time is fair but I wish we could have at least repeated the time we had at the Roar so we could be closer to the pole, but we’ll work to have a better car for the race. Program leader, Jackie Heinricher, was beyond excited to see her effort make its first official qualifying run and is hoping to see the No. 57 move up the order during the star-studded event. Mike Shank not only serves as owner of the team but is on the box making calls for the No. 57 Heinricher Racing with Meyer Shank Racing entry. Still hoping for some more speed, Shank is eager to see this program put on track come Saturday. The 57th running of the Rolex 24 At Daytona will begin on Saturday at 2:35 pm ET with live race coverage on NBCSN.